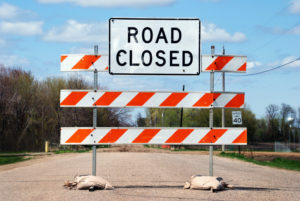 Holmes Road from Salemsborg Road to Kansas Highway 4 will be closed to through traffic starting Monday to permit a Saline County Road and Bridge Department crew to replace a deteriorated cross-road drainage structure with a new culvert pipe. The structure is located approximately 0.8 of a mile south of Kansas Highway 4. Work is anticipated to be completed and Holmes Road reopened by the end of the workday on Wednesday, weather permitting. Owners of land along Holmes Road between Salemsborg Road and Kansas Highway 4 will still be permitted to access their properties but only from the side of the work zone upon which their property lies.